A cage pendant with a twist. 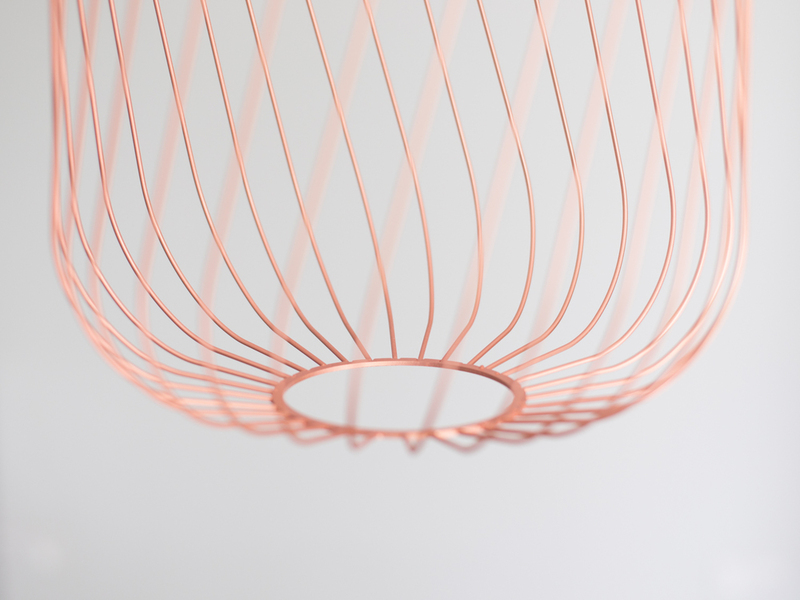 Lattice consists of thirty wire profiles, made from two simple bends. They are arranged at an angle in an array, so that the lantern shaped shade gently twists and animates creating a warm and intimate light. 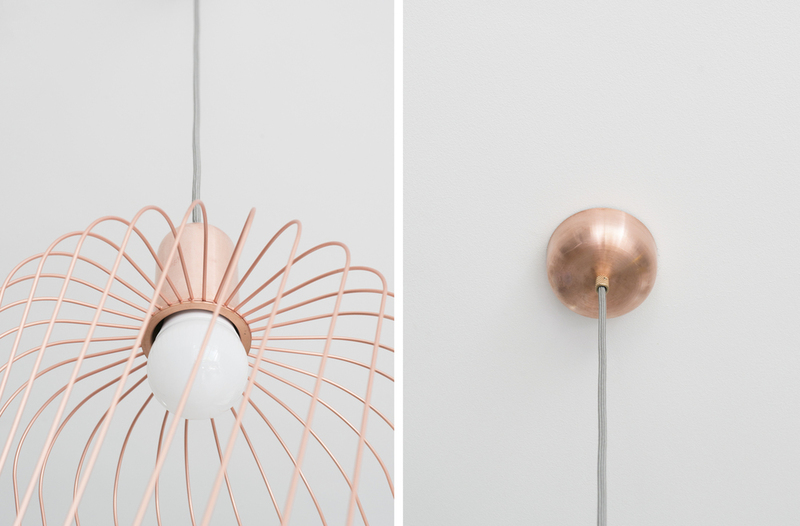 Spun copper lamp holder & rose, copper plated steel, brass cable grip.